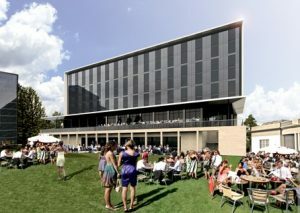 Marlborough has secured a £350,000 masonry package at the new Hilton garden Hotel for Client Galliford Try. The 14-week programme started in August 2017 and comes following the successful completion of Hessle High School in 2016 for Galliford Try. Hilton Garden Inn Doncaster Racecourse will provide much needed quality accommodation in Doncaster, providing guests with an ideal setting to view the sporting action and enjoy excellent hospitality. The hotel will feature associated parking and landscaping, which will enhance the image of the racecourse and provide a beautiful surround to the hotel. Hilton Garden Inn Doncaster Racecourse will be located at The Grandstand, Leger Way, Doncaster. The Marlborough Team will be led by Alex Wardle (Project leader) and Steve Fozzard.